Want to be hired by Kristin? Already have your own Clients and looking for more? 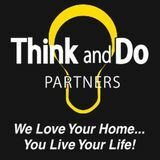 Think and Do Partners is continuously growing and we are seeking 2 experienced House Cleaners. 1 for the Ann Arbor area and the 2nd for the Dexter area. Residential Housekeeping for weekly/bi-weekly clients. You will be assigned regular Clients to assist. Part time to full time. Flexible hours, create your own schedule. Must be honest, dependable, and have reliable transportation and a valid driver's license. Must be able to work independently and have an eye for detail. We take pride in speed while paying attention to detail. Ideal candidate lives within 30 mile radius of the area.